With services like Netflix, Lightbox, TVNZ on Demand now having been available for several years the technology that goes with them has improved as well, and now viewing other websites, such as YouTube and Twitch.tv, allowing you to access both pre-recorded content and live video streams at the click of a button, offering a much greater variety than would ever be available on mainstream TV. Convenience is key here, and with the two great options below you can bring the world wide web straight to your television. Here's a quick guide to the various media streaming devices currently available in New Zealand today. First up with have the Apple TV, perhaps the best-known tool for streaming your favourite online content onto your television. 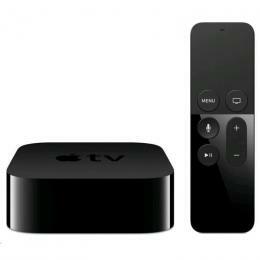 This little black box is designed to integrate seamlessly with the iTunes Music and iTunes Movies services, but also works perfectly with YouTube, Vevo, Vimeo, and a number of sporting channels like MLB.TV, UFC.TV and NHL GameCenter. One of Apple TV's biggest selling points is that it can play media from your iPhone, iPad or iPod touch using AirPlay Mirroring. This makes it one of the best tools for accessing content that you have previously downloaded or made yourself, however, you'll struggle to unlock the device's full potential without an Apple device. Apple TV's biggest competitor in New Zealand today is the Google Chromecast. Smaller and lighter than Apple TV, the Chromecast looks like a simple USB that just needs to be plugged into your TV and a nearby power source. From there, it can be used to stream a number of apps as well as content straight from the Chrome web browser. Chromecast also offers screen sharing functionality, allowing you to stream whatever is on your computer screen straight onto your television. However, this feature is still a little experimental and one that tends to lag a little bit, making it not ideal for video. As the quality of our screens increases so has the technology within these wonderful devices, the latest Google Chromecase is able to Stream with both 4K and HDR! There is also something new and quite wonderful happening in the world on PC Gaming right now, for the last couple of months an App called STEAM LINK has been in BETA testing on various Samsung Smart TV models - the good news is that it's working well! This technology allows you to stream games via your home network, from your Gaming PC, to your TV! The PC itself is still running the game so it's not about having the fastest, most powerful TV available, but instead, the quality here falls largely on how good your internal network is - you can read more about fast home networks and Steam Streaming here. It's now possible to steam games with the Android App version of Steam Link, you can read more about this here. If you've already done some research into media streaming tools, it's likely you'll have come across a couple of other options available primarily overseas. The Roku range of devices is popular amongst tech experts as the brand boasts arguably the widest range of features and media options. Meanwhile, the Amazon Fire TV is another option for those who primarily use the Amazon Instant Video library. However, neither of these devices are widely available in New Zealand just yet, so it might be worth opting for the Chromecast or Apple TV for now. Which one is right for you will depend on personal preference. If you're really stuck, look to your smartphone - iPhone users will probably get the smoothest experience using the Apple TV, while the rest of you may enjoy the Chromecast more. We'll continue testing more great streaming options out, keep your eyes on our PB Tech Tips & News for the latest! Show me more in media players! 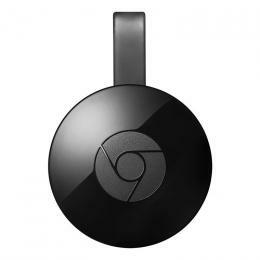 Google Chromecast 2.0 HDMI BLACK - The easiest way to enjoy online video and music on your TV Send video from your phone / pc to your TV. Easy as.